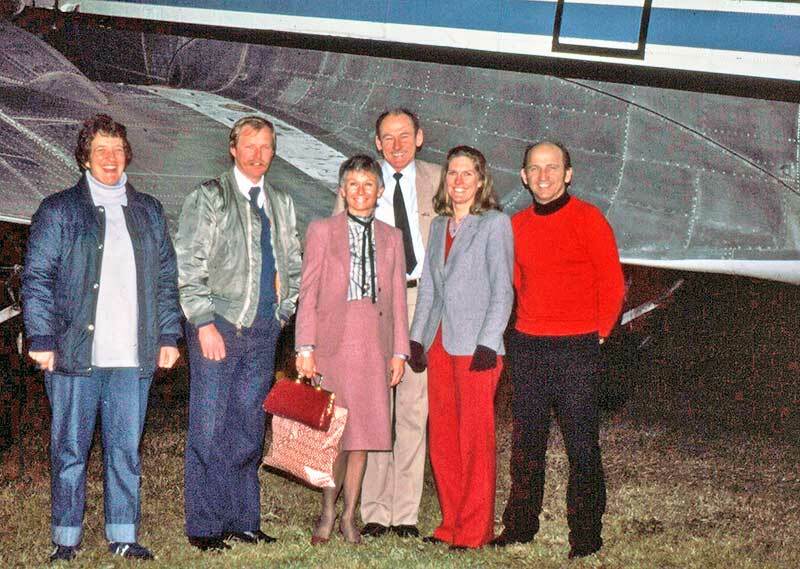 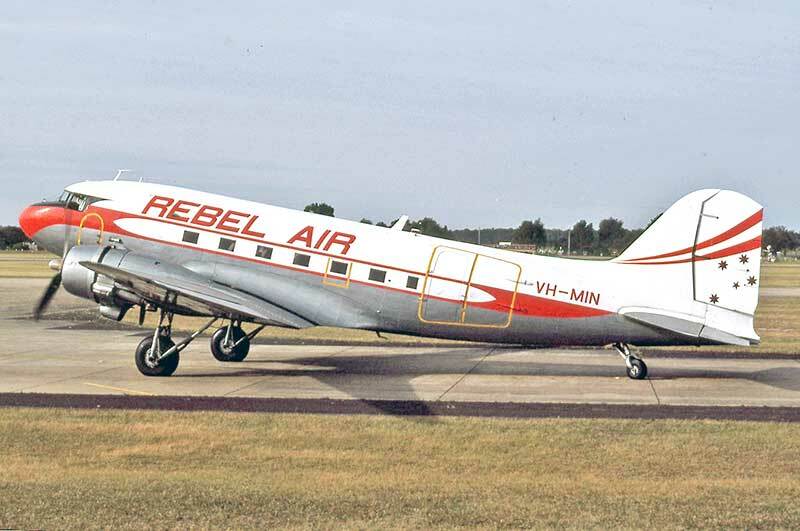 VH-MIN joined Essendon freight company Setair Pty Ltd in April 1981 and was adorned with radio station advertising. 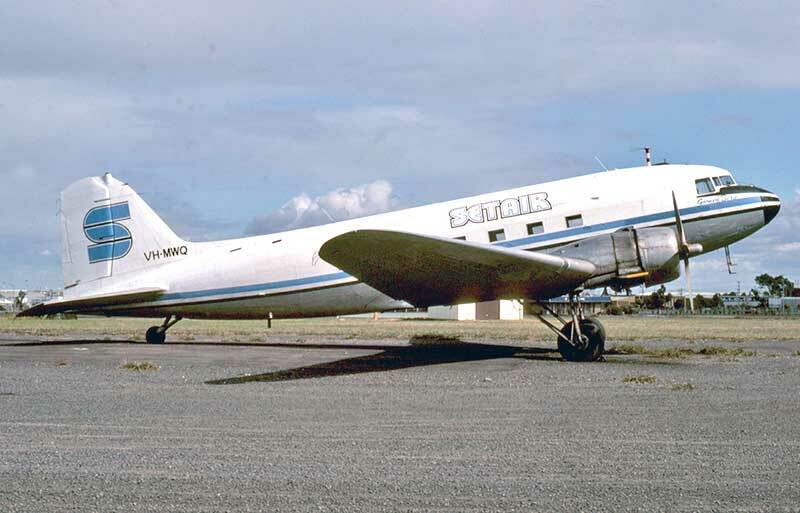 Setair built up a good freight business before the loss of key contracts forced it shut down in April 1983.
c/n 33301 VH-MMD. 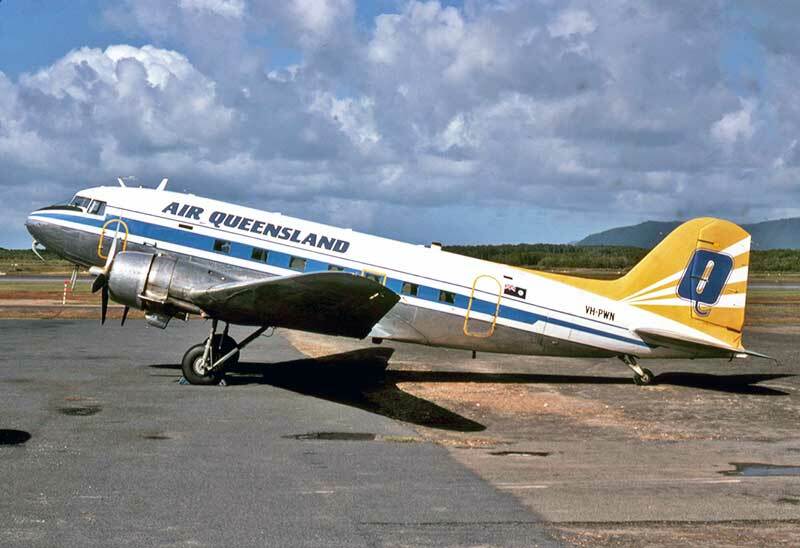 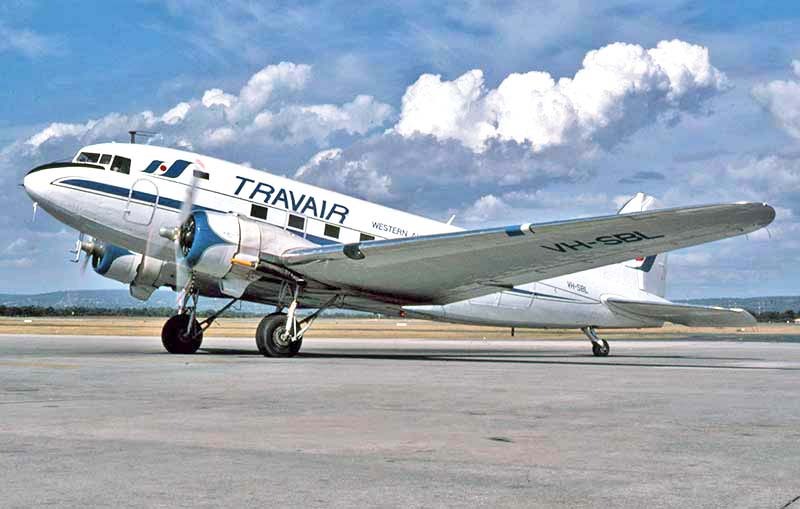 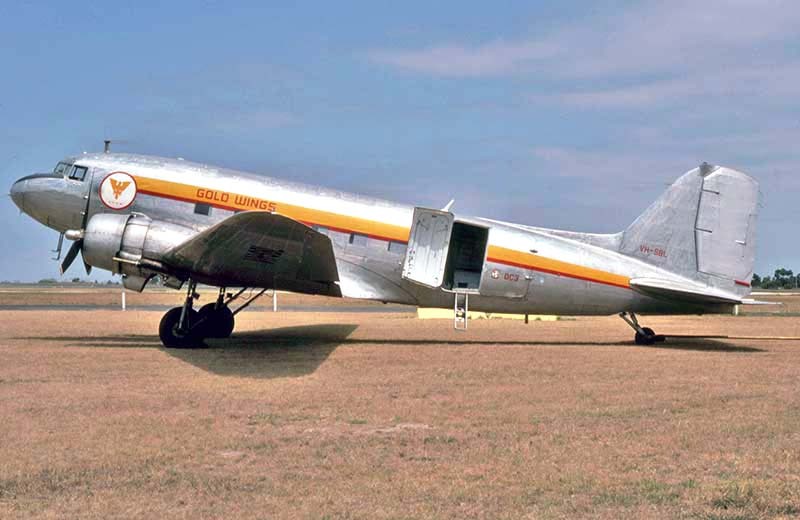 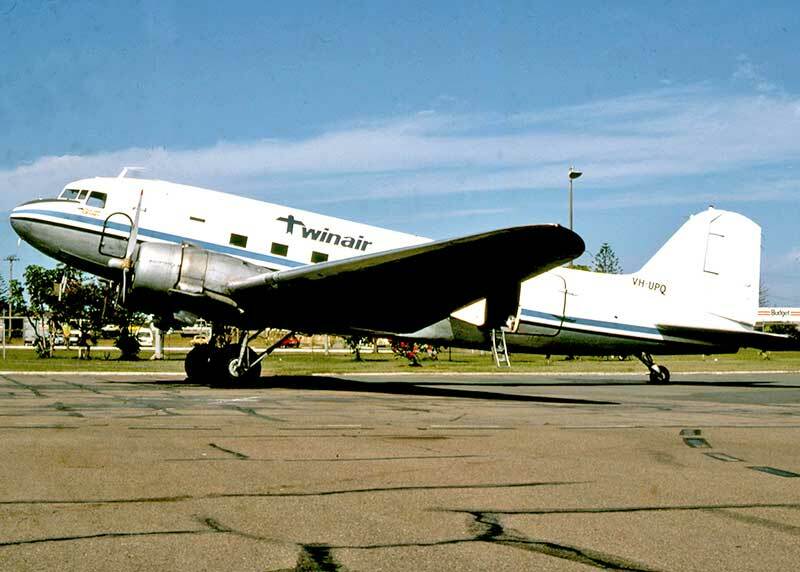 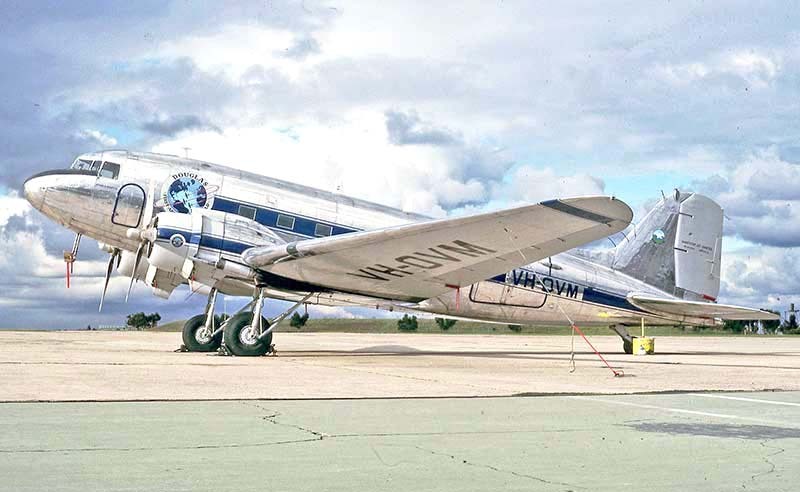 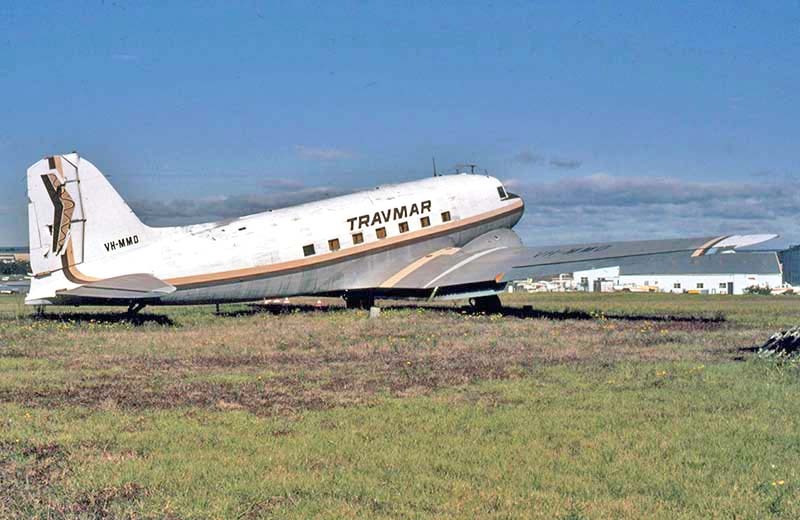 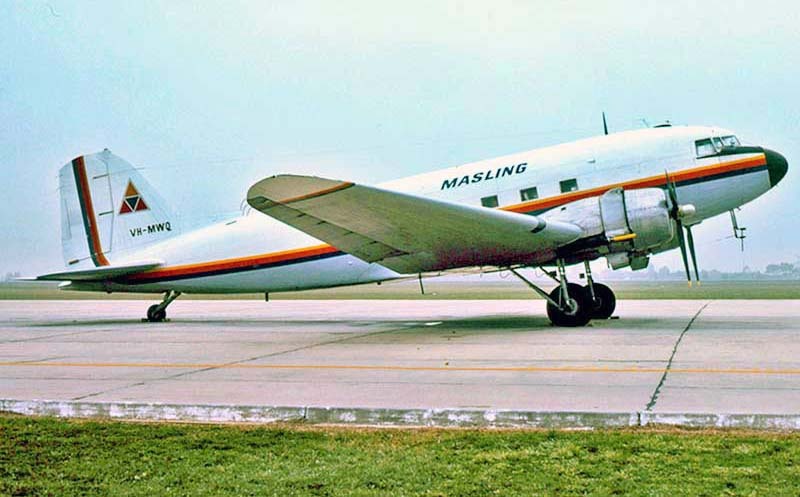 This former MMA DC-3's last owner was Travmar, which flew charter work from West Maitland NSW. 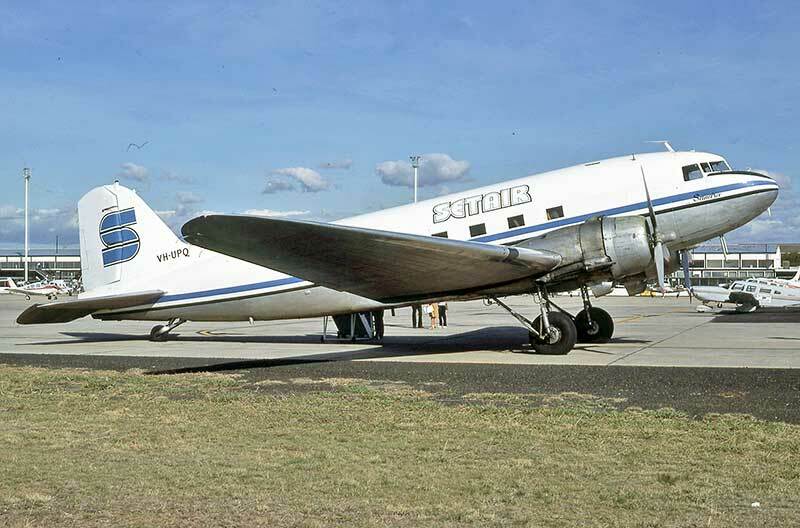 It was retired at Bankstown Airport, Sydney in 1980 and sold to Setair in Melbourne for parts, but remained at Bankstown. 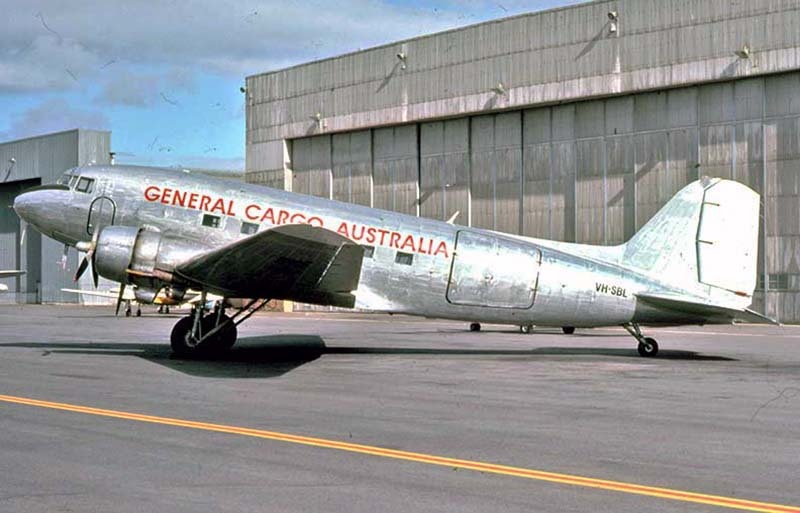 of South Pacific Airmotive in Sydney. 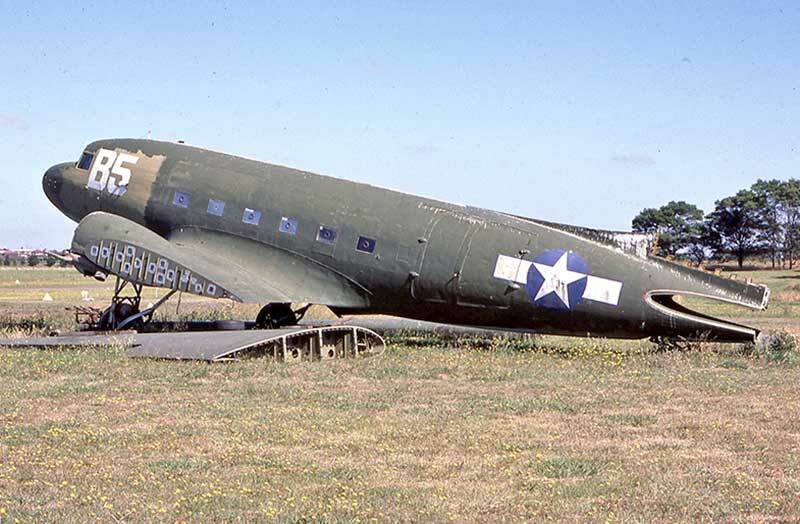 Seen at Berwick Vic in February 1988 before it was moved by road to Camden NSW. 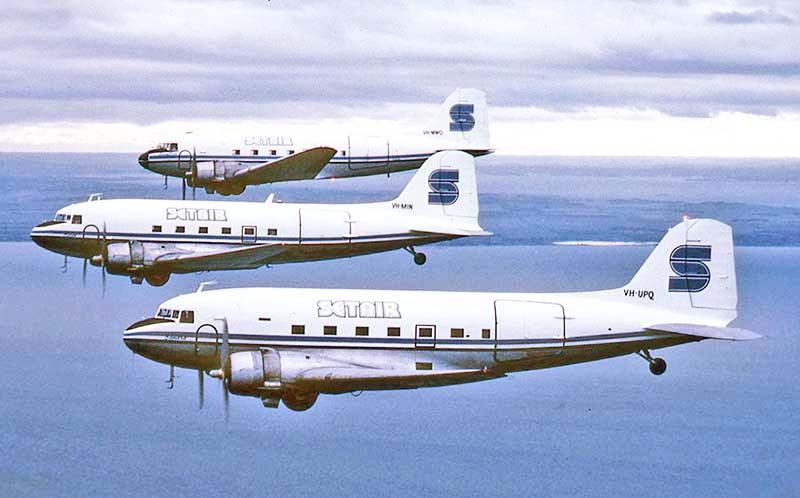 Setair ceased operations in April 1983. 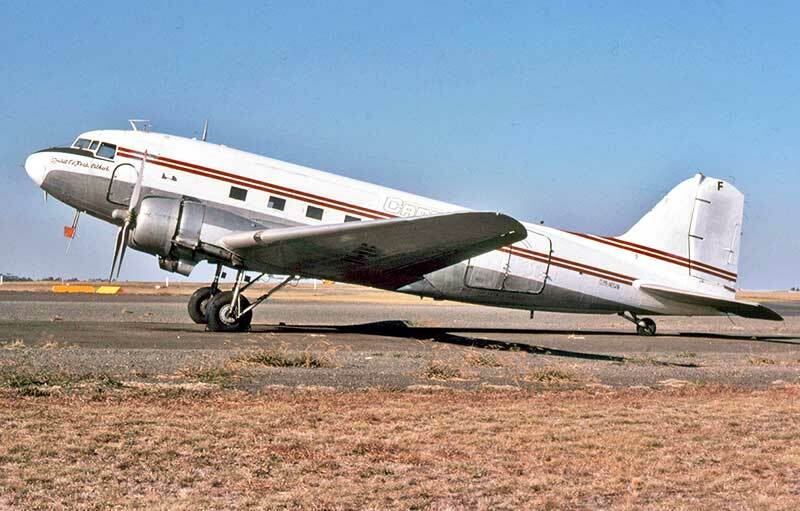 VH-MWQ Gooney Bird is seen parked at the Essendon storage area that month. 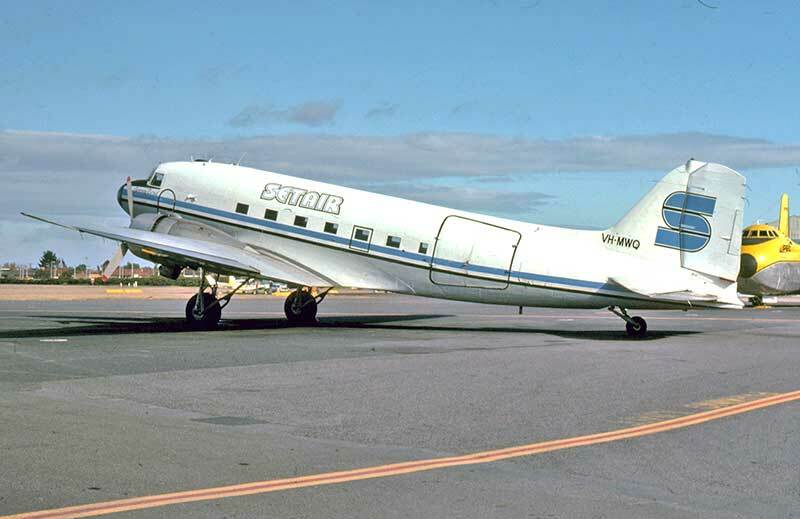 c/n 33102 VH-OVM at Essendon in November 1989, the same month it commenced service with Shortstop Jet Charter. 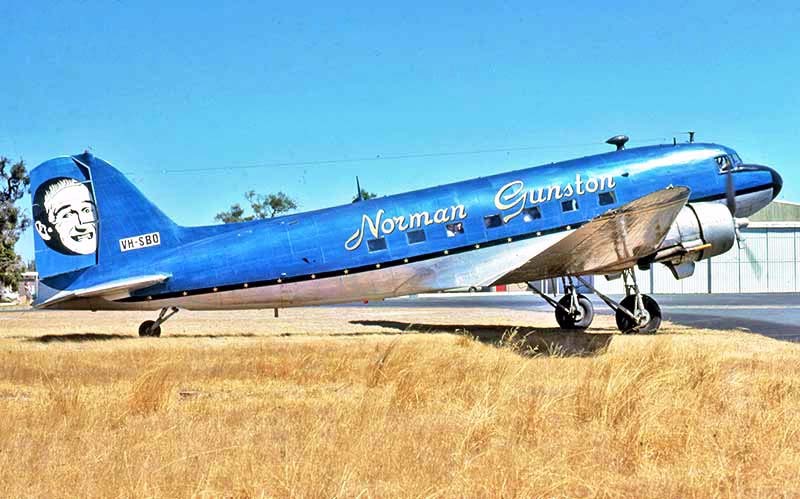 The superb highly polished finish belies that fact that it was Dakota A65-98 with the RAAF Museum until earlier that year. 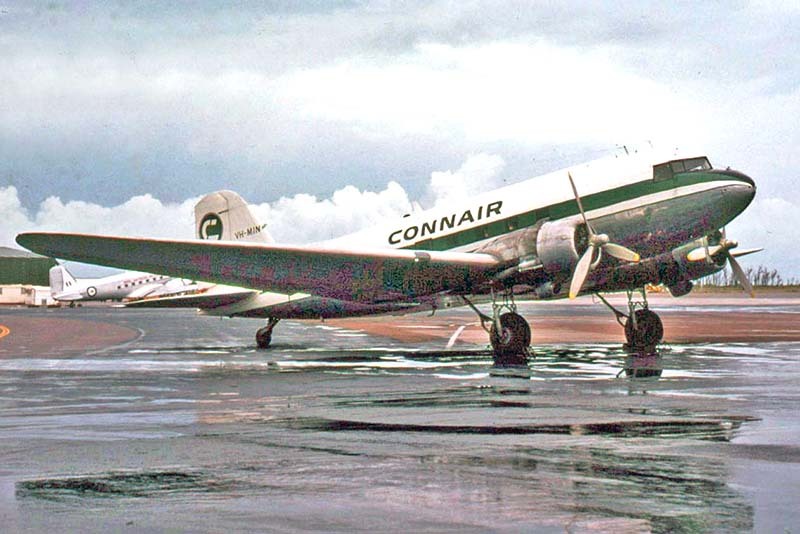 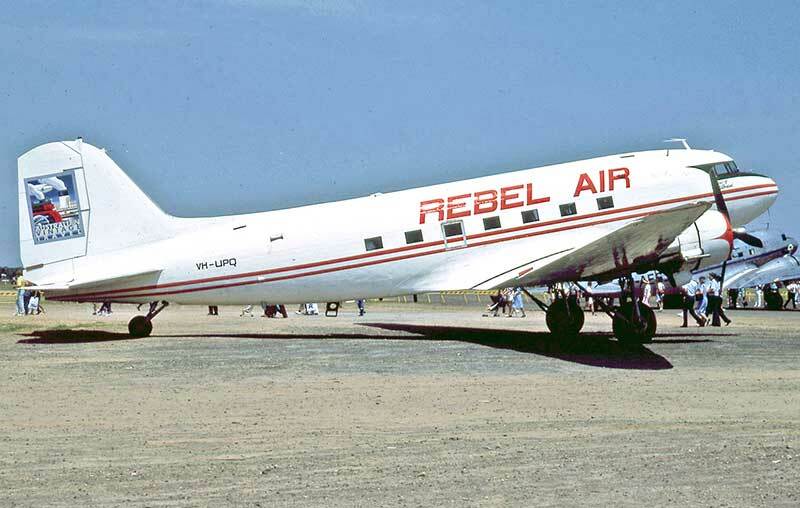 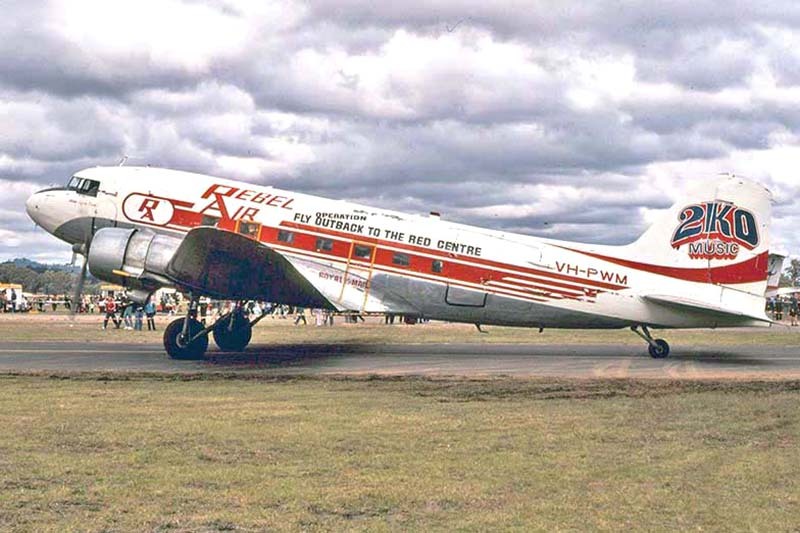 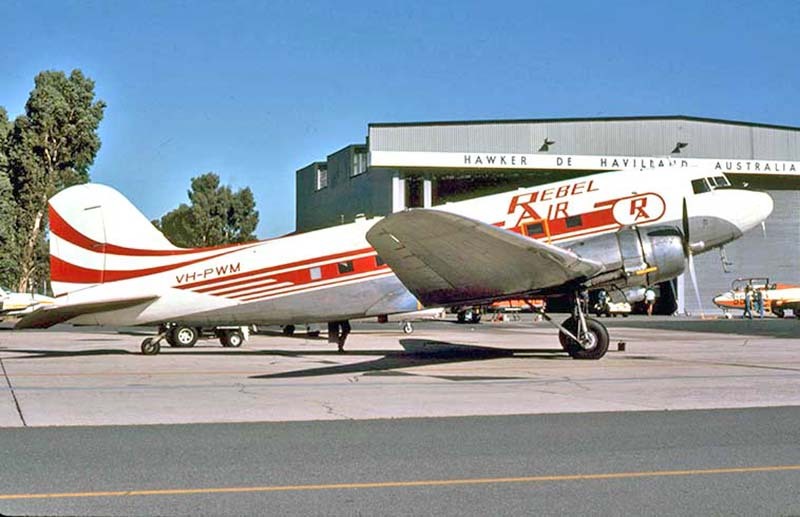 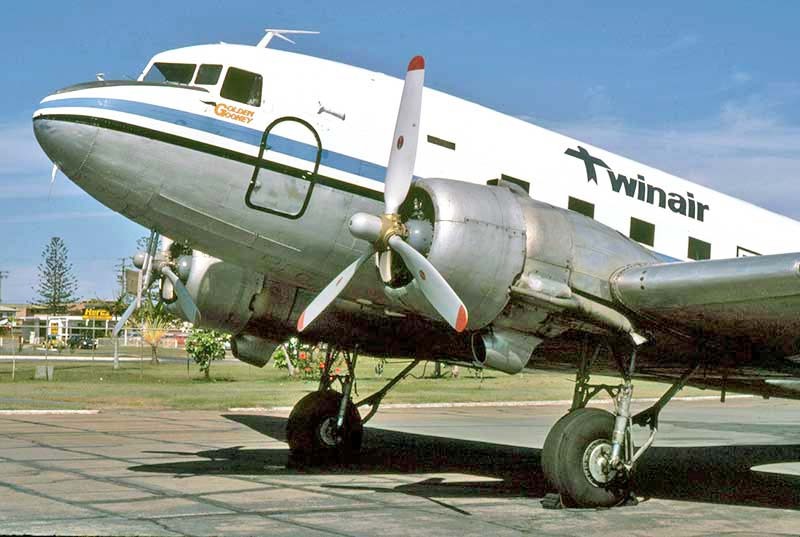 c/n 11970 VH-PWM was Rebel Air's first DC-3 in November 1979. 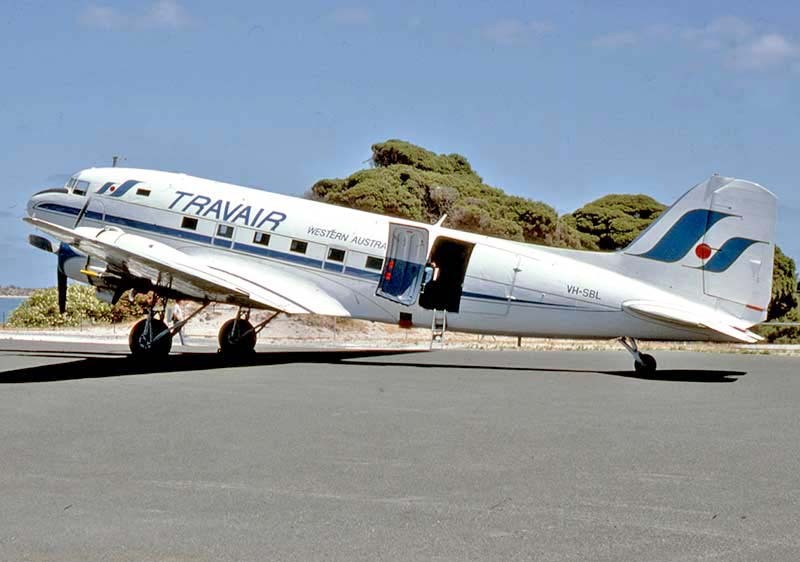 Passenger stroll back to SBL at Rottnest Island after lunch at the settlement. 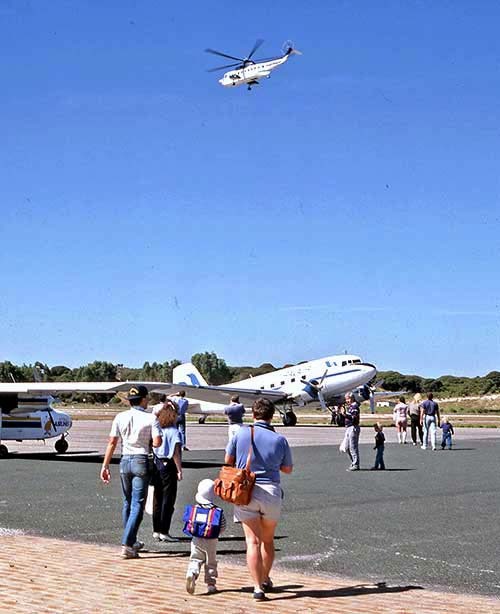 c/n 6108 VH-SBO at Perth in January 1980 during a promotional tour by Australian TV spoof character Norman Gunston. 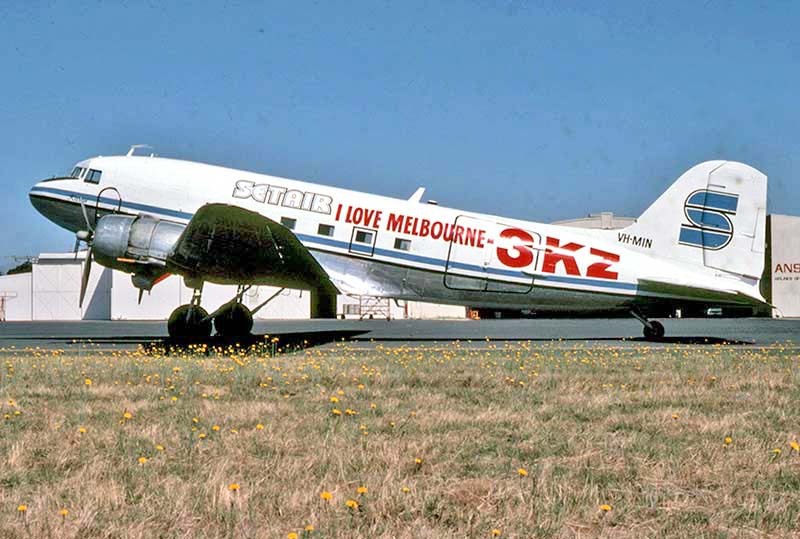 c/n 33300 VH-UPQ at Essendon early April 1983. 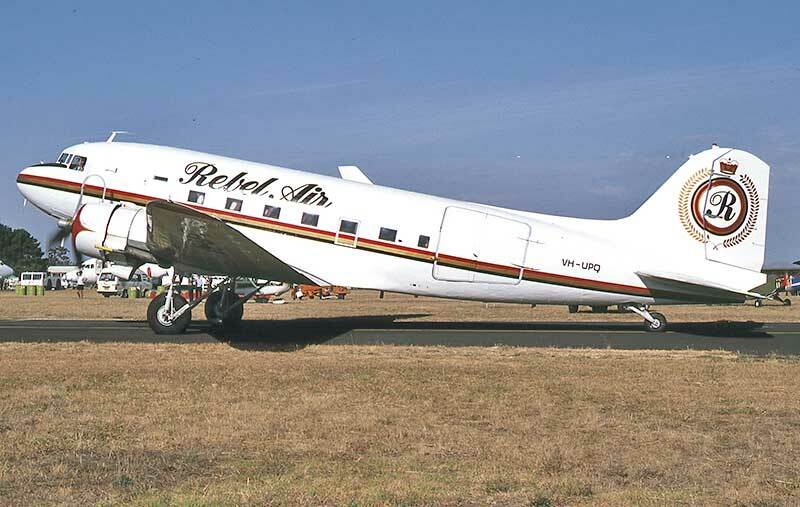 Setair's Sandra was loading passengers for the annual Mangalore air show.